The board can run Android and Debian from eMMC flash or SD card like its predecessor, as well as Ubuntu Core with Qt, and software and hardware documentation can be found on the Wiki. 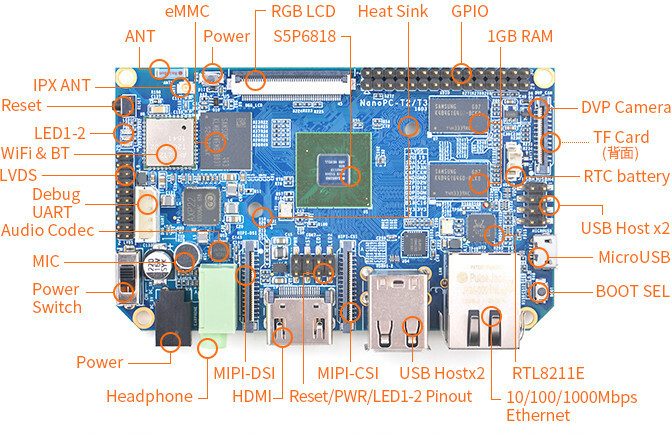 The board ships with the heatsink shown in the top picture. The board can be bought on FriendlyARM website for $60 + shipping via China Post ($10), Fedex ($14) or DHL ($34). Shipping fees in brackets are for my location, so you may get other quotes. 2GB RAM option is good (really helps with self-hosted development), but eMMC is 8GB only? How can we use the 8pins USB headers to get 2 x USB 2.0 ports? So there are a possiblilty of using a total of 5 USB 2.0 disks if micro USB 2.0 OTG port is also used as host? I think it’s useful if you have your own modules that use USB signals without actually using a USB port, so you can just wire your module directly to the board. Not sure about supporting 5 USB drives. When will these SBC designers learn Any thing less than four USB ports is unrealistic for practical use among the broad majority of consumers. What is the obesssion with usb ports here?, who needs them on an embedded controller. @tkaiser, i see. And thanks for answering a question i was about to ask, but already informed by you. This is very important details most ppl don’t know prior to buying such. I’ve read many other comments and forum threads by you which enlighten us about the shortcoming of these devices. Really appreciate your effort and time figuring out of such crucial details! Yeah, especially since the ‘need’ to provide as much USB receptacles as possible leads often to strange design desicions further limiting available bandwidth. 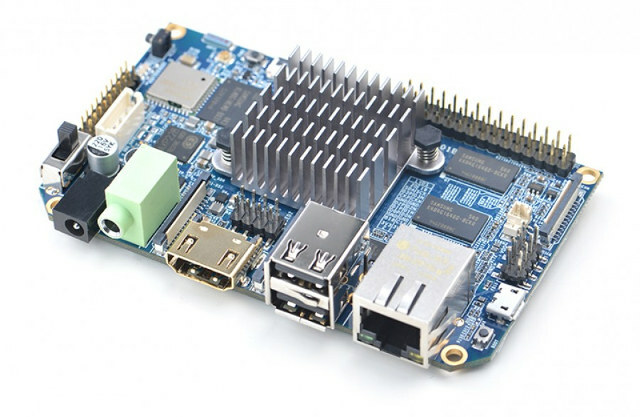 Best/worst example is Banana Pi M3: The SoC features 2 real USB host ports and the board has 2 USB type A receptacles. But since the vendor promotes also a SATA port (behind an ultra slow USB-to-SATA bridge limiting disk write performance to 15MB/s!) you end up with only one USB host port used and both disk port and the 2 external USB receptacles connected to this so everything has to share the bandwidth of only one port. I would prefer if board vendors make all real USB ports directly available but stop to use slow/crappy internal USB hubs while not exposing real USB ports at the same time. But maybe shared bandwidth doesn’t matter for the aforementioned ‘broad majority of consumers’? I can’t see it on their website, so you may have to talk to FriendlyARM directly to find out how to buy it. Does anyone know if HDMI CEC is supported?